Hello, my beautiful bokoblins! This week on NEP, we talk all about collector’s editions and how things have gotten out of hand with some publishers. 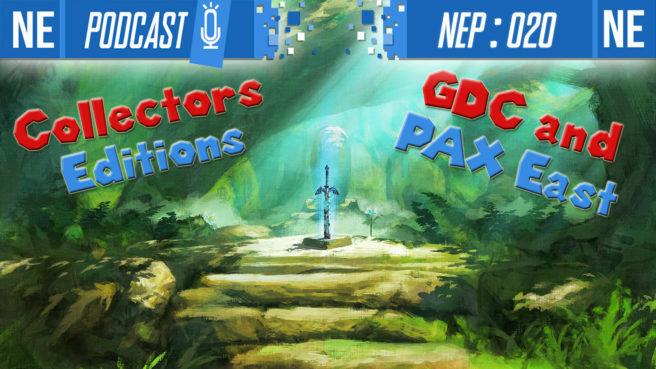 Then we talk about GDC and PAX East being right around the corner and all of the potential announcements, teasers and leaks. Particularly of note is a new game in the publisher catalog of Yacht Club, the geniuses behind Shovel Knight! And Galen reminisces on his past PAX experiences throughout the show, too. Thank you for all of your support and for sharing the podcast with others. We’re growing at a great pace, and it’s all thanks to you as listeners! Check below for more details! 07:30 – Galen asks Oni 5 rapid-fire questions! Shame over games you play, dinner with Nintendo execs and—most importantly: which video game character Oni would choose as a contestant on a dating show. 22:27 – News: Alliance Alive and Destiny Connect coming West to the Switch, and a discussion about collector editions in general for modern gaming. 42:01 – PAX East and GDC talk. Borderlands on Switch? Or are people jumping to conclusions? Take a guess.